The easiest way to tell what anyone believes, what they value, is to look at how they behave and how they spend their time and money. It becomes uncomfortable when, through either our own realisation or by someone else pointing it out, our external behaviours don’t match up with what we say we value. 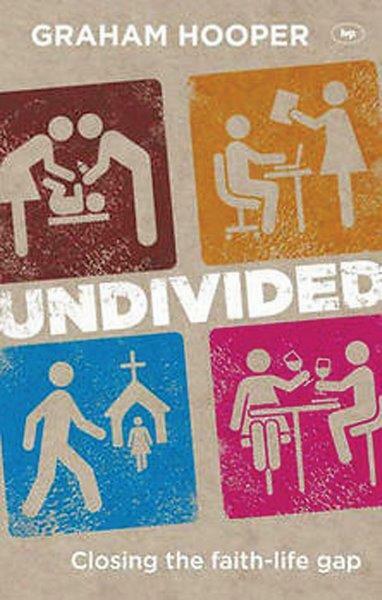 Undivided by Graham Hooper is a book about what we do with these contradictions in our lives, both individually and corporately. These reflections are offered from one who has worked to connect his ‘sacred’ faith with his life and ‘secular’ work as an engineer. This is important as sometimes the gulf between church on Sunday and work on Monday can be absurd, yet it is an absurdity that isn’t too hard to be comfortable with. The book not only offers a challenge for how we live individually, but also how we live together as God’s people. It is a reminder of the importance of keeping sight of the big picture and being shaped by God’s hope for both ourselves and the world. It is also a good reminder that the most important parts of our ongoing discipleship happen outside of Sunday worship.